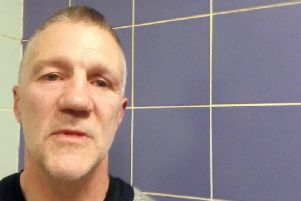 Tony Bellew has got the mental edge of David Haye and will beat him on Saturday night, says former Sheffield sparring partner Joss Paul. The Eckington fighter was surprised at Bellew’s strength and speed when they traded blows last year in sparring. “He’s the hard punching and quickest man I’ve been in with - a different level” Paul said. The high-profile heavyweights re-match at the O2 Arena on Saturday night after another bad-humoured run-in. Tony Bellew and Rotherham trainer David Coldwell. Pic: Paul Harding/PA Wire. Paul won’t forget the experience of sparring with the Merseysider. “He was just so fast, faster than I expected him to be for a big lad and he was over the 15 stone mark when we sparred. 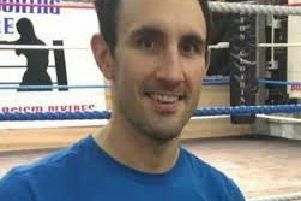 Paul has been out of action since outpointing Sheffielder Carl Wild for the Central Area cruiserweight title last December. “It seems a long time ago, and I’m not sure when I’ll be out again as I chipped a bone in my hand against Carl and been waiting for that to heal up. “I’ve still been ticking over doing plenty of strength work and racking the miles up running. I have to be patient with it and let it heal” said Paul, 28.